I returned from Margaret River just in time to get to the Hare Krishna Temple in Bayswater, Perth, for a wonderful festival. 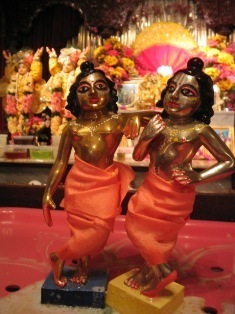 Today was Baladeva Purnima, the day celebrating the Birthday of Lord Balarama, Krishna’s elder Brother (by eight days). This is Krishna and his Big Brother Balarama relaxing just before their ceremonial bathing with 108 auspicious liquids. 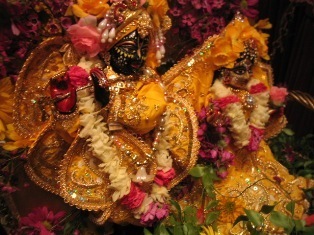 After that amazing spectacle, the attractive forms of Radha and Krishna were swung on a swing made entirely of flowers. The great evening concluded with a magnificent 14 course feast for the 150 guests, cooked by young Gaura Nam. It was his first major catering job, and it was certainly memorable. A splendid time was had by all!